A cycle awareness course being carried out by Minimise your Risk. 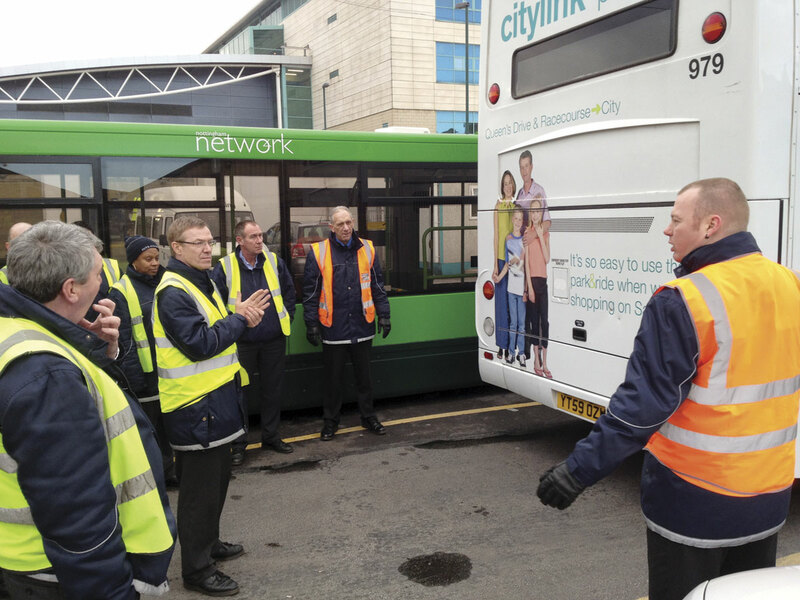 We all know that as a minimum to retain a PCV driving licence, we need to keep up with the 35 hours of Driver CPC training, in addition to any other training requirements, but how do you know the courses you are selecting are the ones most suited to you and your operation? What is the best way to roll out a training regime across your fleet? 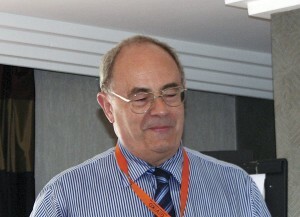 Chris Peat spoke to a number of training providers to find out their recommendations. With Phoenix offering Driver CPC periodic training for £35 per head per day, John confirmed it is possible to provide good training at a good price. His company offers such a competitive price as it has trained a lot of local authorities over the years who he says ‘don’t want to pay any more than that’. He has simply carried over that same price to the bus and coach industry. Ensure the course lasts for the full seven hours, said John, ‘Not just someone that allows them to sign up and then go.’ He says there are some training providers that allow trainees to sign up and be finished before the end of the day. He says such a set up is a waste of money. Also, he said to make sure a certificate is handed out at the end of the course, as these documents are ‘famous for getting lost in the post’. Tachodisc’s Angela Eardley said that when it comes to the Driver CPC, the goal should be to ensure the choice of course not only suits the operation, but provides what the driver needs. 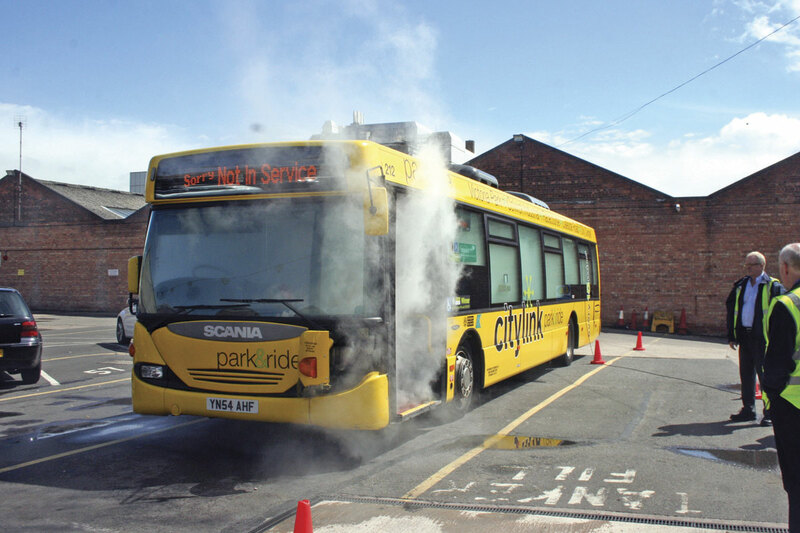 She often advises operators to carry out an in-depth induction when taking on new drivers. How an operator assesses their staff’s knowledge is ‘quite key’. She suggests new recruits are asked questions, not just given a tick-box questionnaire to fill out. That way a better idea of what sort of training they will most benefit from is gained. She does not like the idea that a driver could do the same course ‘again and again’. However, in some cases, for instance if a driver keeps making the same mistakes and repeatedly gets infringements, then she believes covering the same topics as before could be revisionary and help drive home the mistakes they are making and how to avoid them. Like John from Phoenix Training above, Angela suggested drivers are put through one day of CPC training per year to keep up their mandatory 35 hours. By doing this, ‘You can then see how drivers perform through the year and identify what elements they can train on.’ Certainly the way not to go is to do all 35 hours in a single chunk, which she says is a ‘waste of money’ and the employees will not sufficiently take what is taught onboard. Novadata reminds readers that even though transport managers only need to pass their Passenger Transport Management CPC once, if they drive for a living as well then they need to train periodically to keep their DQC current. Like many providers above, the company says it makes a lot of sense to schedule one day of Driver CPC training each year, per driver. Planning ongoing training should begin as soon as each driver obtains their DQC, advises Novadata. The benefits of this approach are that you can plan well ahead for each driver being off the road for a day, as well as being able to establish a track record for planning your driver training responsibly. The company says this can stand you in good stead with the authorities in the event of an inspection as it demonstrates a serious attitude towards training and that you do not leave training to the last minute before renewal deadlines. As well as choosing courses to suit business needs, Novadata claim it is always topical to select courses covering safe and economic driving. First aid courses can count towards Driver CPC, so you can fulfil two training needs in one by choosing this. There are courses designed specifically for coach drivers, which cover customer service and conflict management. Novadata also runs a course specifically tailored to the needs of drivers who make school runs. A course covering Drivers’ Hours law is a very good idea, according to the company, as it is vital to comply with this. It also makes sound sense to choose a course that will update your knowledge after a change in the law. For example, with the abolition of driving licence counterparts, drivers need to know how to provide licence details to their employers; it has Driver CPC courses that cover this. It says that if in doubt, ask your training provider if there have been legal changes and which of their courses will help drivers stay up to date with best practice. Novadata constantly evolves its course content to help customers stay up to date. Novadata runs a five day course which proves popular with new drivers, particularly those embarking on a new course after a career in the armed forces. The company suggests that once a DQC has been obtained, you can schedule one day a year, take several courses together in some commercial downtime or complete a five day course again nearer your next renewal deadline. However, it suggests bearing in mind that regular training does help you to stay up to date with best practice and is favoured by Traffic Commissioners. One of the most important things to check when selecting a DCPC course, according to Sibbald Training, is that it applies to LGV or PCV. CPC Co-Director, John McLachlan, said many courses cover both types of driver but some are specific to the PCV or Haulier industry. If a bus driver took five LGV modules, he would not have any of the Periodic Training attributed to his licence and would not receive a card. Five days in a classroom setting such as this to achieve 35 hours of DCPC training is too much, according to some of the companies in this article. Many suggest carrying out training one day a year over five years to achieve the mandatory training requirement. Much of the above has focused on Driver CPC, however training drivers to pass their driving test should not be ignored. Gordon Springate Transport Training Services provides this under the mantra of ‘We teach you to drive, not take you for a ride’. Having offered this service since 1979, the company can take an employee through the whole process, from applying for a provisional licence, the medical, the theory test and the practical test. It offers a five day course that trains someone up from not having a licence to gaining one. The trainer also offers Driver CPC courses, including the initial CPC qualification. These include tachograph training, vehicle maintenance, safe driving, driver health and safety and customer care and accident procedures. 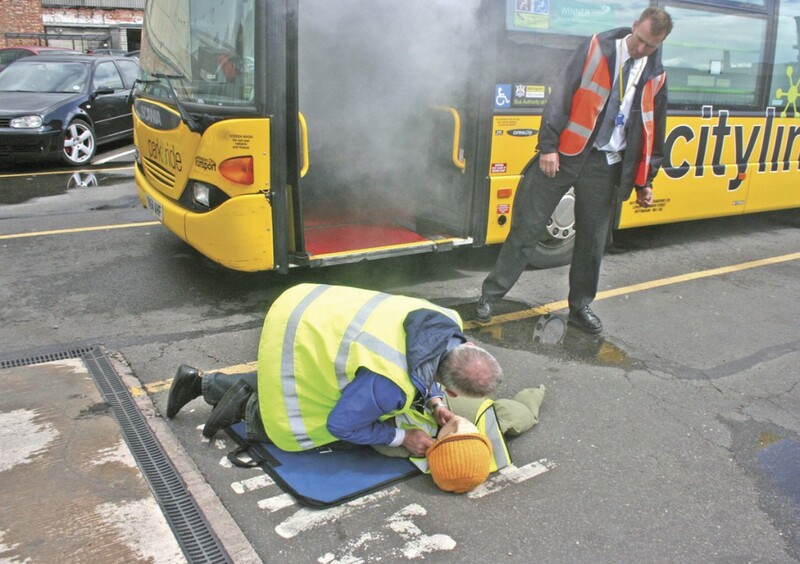 As well as a wide range of Driver CPC courses, covering the most important topics, NCT also provides training in helping passengers with sight loss. The operator won an RNIB award last year for its work in better informing drivers to assist in supporting the blind. It also provides BHF Heartstart courses, providing drivers with the skills needed to assist in the case of a customer suffering a heart attack or failure, including CPR and other life saving skills. Another operator trainer is East Yorkshire Motor Services (EYMS). It offers various DCPC courses that can be run in any order to make up the 35 hours of mandatory training. Its courses are continually being updated and developed. 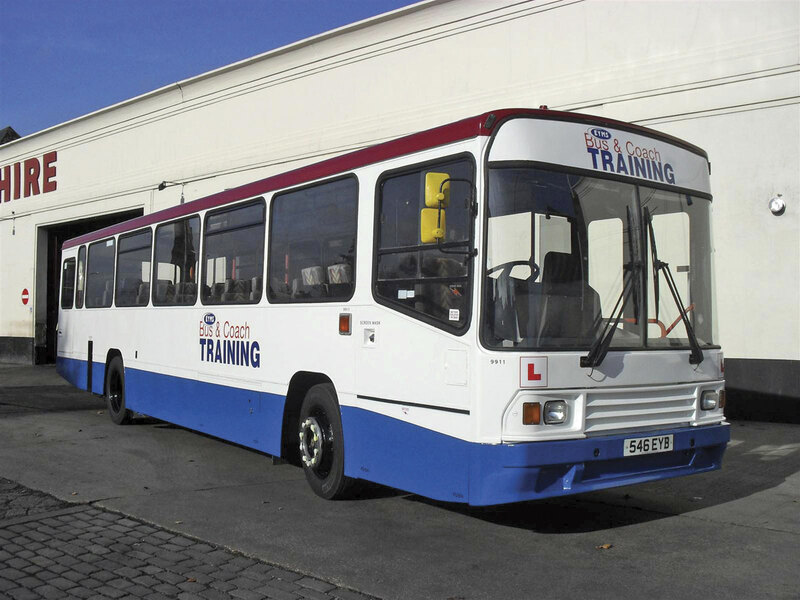 The company can also assist with passing the test for a PCV licence and the initial Driver CPC qualification. An advantage of using an operator trainer, according to the head of the firm’s training arm, is that trainees respond better to instructors that bring their own real world experience to bear during the educational process. Drivers and other frontline staff may prove to create the bulk of training requirements, but management and other back office staff should also not be forgotten. A company providing training for these employees is QV Associates, which delivers courses on route and timetable planning and bus and crew scheduling. Iain Macbrier from the company said that it is a difficult area to cover, as the training requirements are not that easy to define. He believes it is much easier to work out what drivers need to know than what the traffic office needs to know. 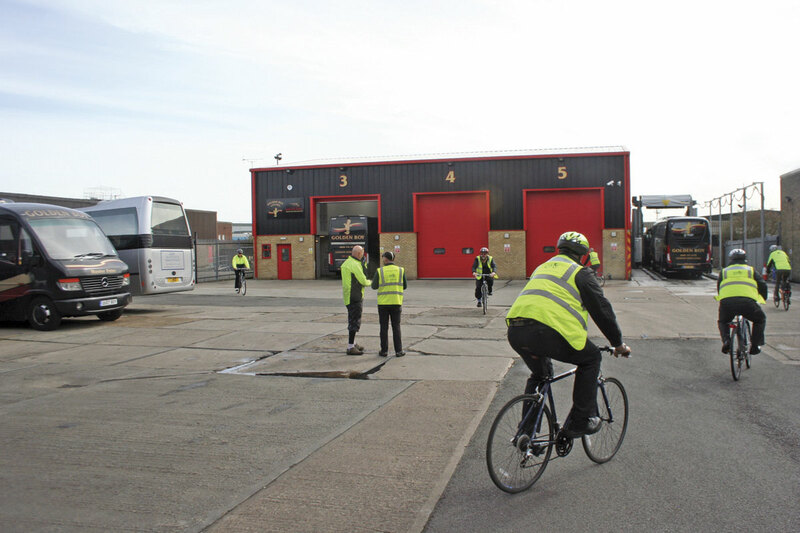 However, there are some ‘very specific skills’ needed to run a depot from day to day. Even though an employee may not be directly involved with scheduling or timetabling, Iain said it is still important they have the knowledge of how these areas work if employed in an environment where these activities take place. He told me that it helps them understand what those who work in these areas are talking about, if they have an understanding of the technical terms and ideas. No training is provided on any specific software, Iain said it is solely the ideas and principles behind the disciplines he teaches. Individual software companies will provide training in how to use their packages. 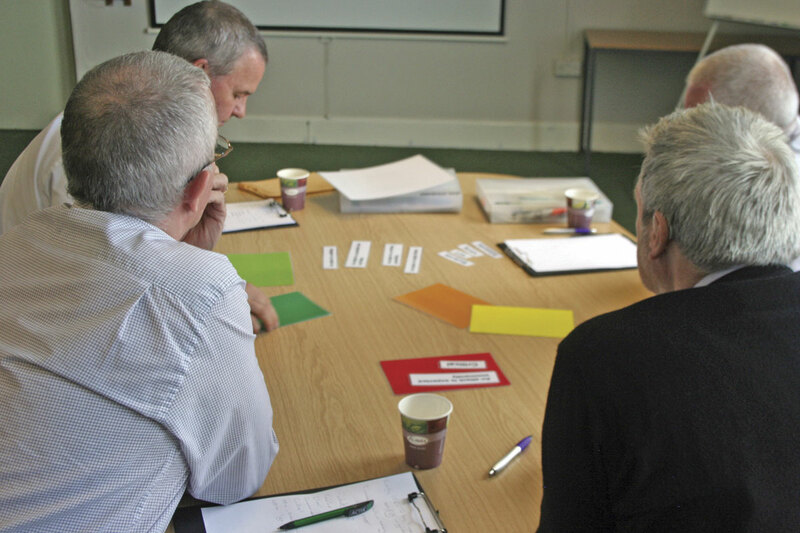 In QV Associates’ route and timetable planning course, once they have been given the knowledge and skills they need, attendees are then able to put these into practice. As an example, they might be asked to re-route the Cheltenham off-peak bus network. People1st, the workforce development organisation for the bus and coach industry, is another provider of courses for managers. 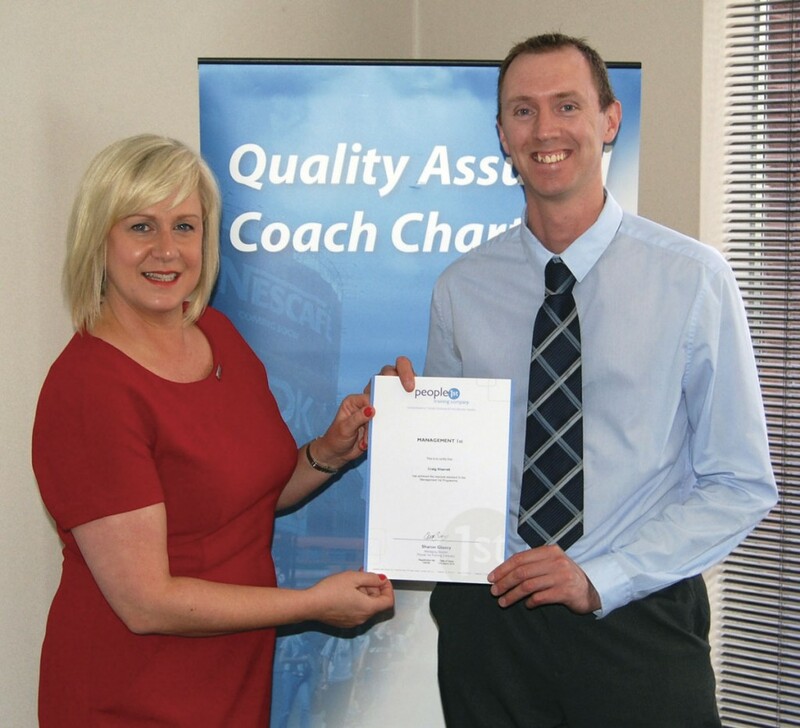 It recently put 20 coach industry managers from the Guild of British Coach Operators through its Management 1st training and development programme. Two courses were run exclusively for managers working in the coach industry, allowing delegates from ten different companies to learn how to improve their management skills and discuss how to apply them in an industry context. A company that can source any training requirements is Nationwide Transport Training, part of Nationwide Transport Breakdown Services. The business can sort out any type of training, working with operators of various sizes. One course proving popular currently is for tail lifts. Family owned and run L&T Transport Training provides driver training. Since 2012 it has been an approved Driving Test Centre, allowing students to train and take their test at its Fitzwilliam site. As well as training for driving various sized vehicles, the company also carries out initial and periodic training. 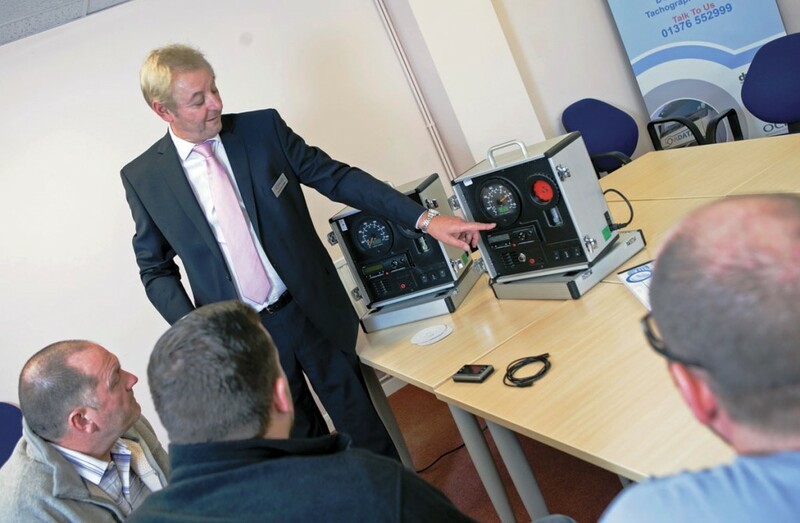 Ward International, provider of JAUPT approved CPC courses, holds regular training sessions at its headquarters in Fareham, Hampshire. However, it can also be arranged for the courses to be delivered at suitable customer premises. As well as Driver CPC, driver training and other courses, Tangerine also provides a licence check service. With the team all having a PCV background, it provides its training to an array of different operators, including some high profile ones. Providing a wide range of courses, from DCPC to health and safety to first aid, is Specialist Training and Consultancy Services. The company aims to provide an efficient and customer centred training and consultancy service staffed by industry experts. Based in Lancashire, it offers courses throughout the UK. Driver and Manager CPC courses are offered by Wright Training, as well as tachograph and driver hours training. It aims to keep classes small, ensuring they stay informal and personal, which it believes helps ensure the trainees better understand the material. Amongst its compliance consulting services, Lloyd Morgan Group also offers training. It provides bespoke Driver CPC training, vehicle inspector training and an engineering management qualification amongst other courses. One of the salient pieces of advice delivered by trainers is to ensure training matches staff needs. This involves knowing employees and recognising what can be improved. Whatever their needs, there are plenty of companies out there who can assist in bettering their skills.